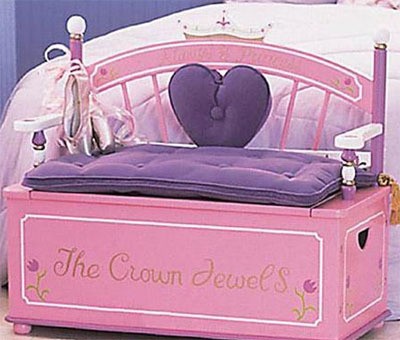 Your little princess will love this adorable toy box bench. This Levels of Discovery toy box features a heart-shaped pillow and matching seat cushion. Get it at kidfurn.com for $169.95. This bed is also a cozy play space. It features a pink top tent with adorable curtains. Get this girlie day bed at Matrix Kids Furniture. Your daughter will love getting ready at this vanity. 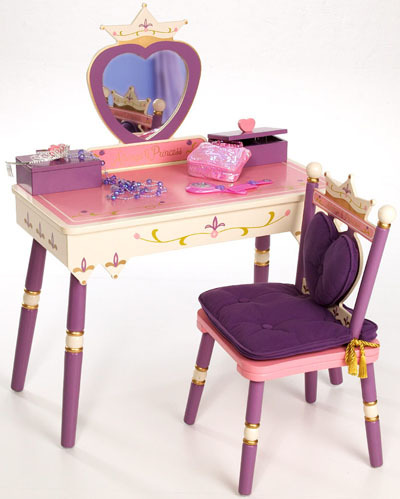 This set features the vanity, matching chair, heart-shaped mirror, and compartments for hair accessories and jewelry. Get the Pink Hearts Children’s Vanity Table at childrenskidsfurniture.com for just under $200. Head to Rooms to Go Kids to find this Disney Cars Bed with trundle. 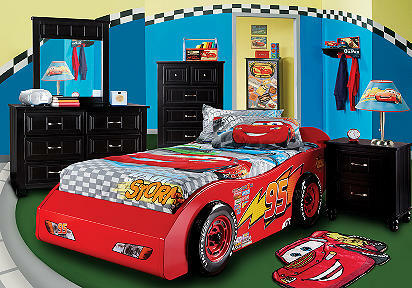 Your little boy will adore this fun design with its official Cars decals and hand-painted wheels. 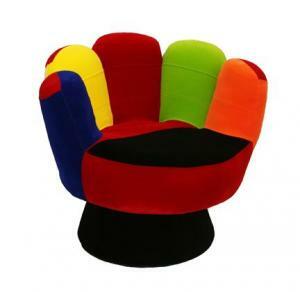 Your kids will love this colorful mitt-shaped chair. Get This Lumisource Mitt Chair now at kidfurn.com. 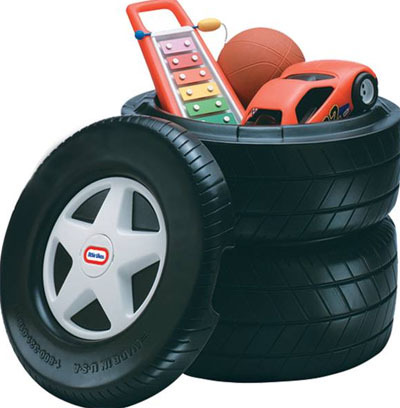 This stack of tires is really a toy chest. This racing-themed toy box is a customer favorite at littletikes.com. Get it for just $59.99. She’ll feel like a princess on this comfy throne. 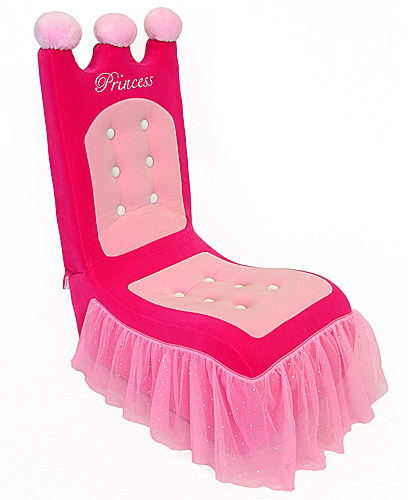 This princess chair features a hot pink and soft pink combination, and crown-shaped headrest. Get this chair at funkyfurnitureandstuff.com for under $100. This indoor/outdoor table features a cute umbrella for UV protection. This table folds easily for portability and storage. Get this Endless Adventures® Easy Store™ Jr. 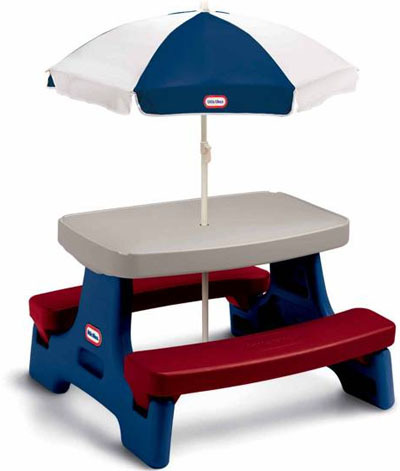 Play Table with Umbrella at littletikes.com for just $54.99. This teen-sized foam chair can be used as a chaise or flipped up into a chair. 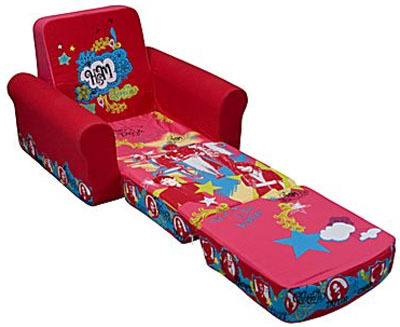 It features the characters from “High School Musical.” The removable slipcover is washable. Get this chair on sale now at JC Penney. Your kids will love to have this art center in their playroom. Perfect for creative activities, this table features ample storage for paint brushes, paints, crayons, paper and so much more. 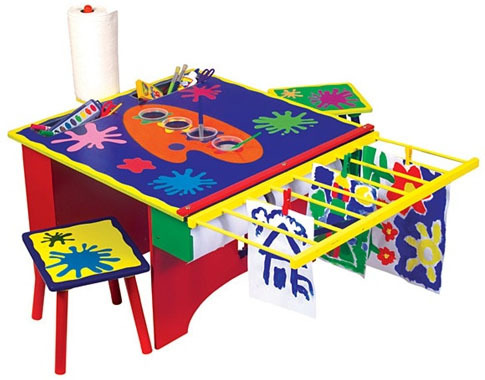 Get it now at kidsdesk.net for $176.40.